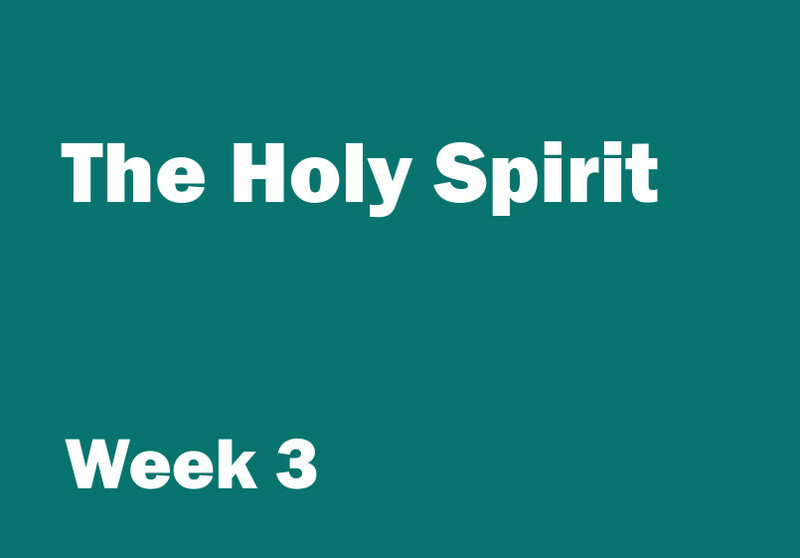 Objective: To begin to think about ‘the friendship of the Holy Spirit’. Aim: to take part in a series of three-legged races before talking about the Holy Spirit being with Christians all the time. You will need: masking tape, balloons, scarves and blindfolds. Before the session place a strip of masking tape at one end of your teaching space (this will be your start line) and a second strip at the other end (this will be your finish line). Make sure the strips are parallel. At the mid-point between the two strips place a third strip. Ask for four volunteers who are willing to participate in a three-legged race. Ask the volunteers to get into pairs. Tie the legs of each pair together using the scarves; however do not tie their opposite legs together but the same legs so that one volunteer has to face one way and the other face the other way. Make sure the scarves are not too tight. Ask the volunteers to line up at the ‘start line’. One of each pair should still be facing backwards. When you say ‘go’ encourage the volunteers to start walking towards the finish line. When the volunteers reach the strip in the middle they should turn around so that the person who was facing forwards is now facing backwards. When the pairs reach the finish line hand them a balloon each. The pairs should then place the balloons between their sides and try to walk back to the start line – the player who has just walked backwards should now be walking forwards. If the balloon is dropped at any time the players should stop to pick it up. When the volunteers reach the strip in the middle they should turn around again so that the person who was facing forwards is now facing backwards. When the players reach the start line allow them to discard the balloon; however the player that has just walked forwards should now place a blindfold over their eyes. Finally encourage the players to head for the finish line. At the central strip the players should turn around once more; this will mean that for the final stretch the player wearing the blindfold will be facing forwards. The first pair back to the finish line is the winning pair. Play the game again with a different set of players. You will need: a large sheet of paper or a whiteboard, marker pens, a Bible, sticky tac, the ‘3 in 1’ symbol (see Printables), ‘3 in 1’ symbol with descriptions (see Printables) and the ‘Holy Spirit arrow’ (see Printables). Before the session write the verse on the whiteboard or paper. Read the verse aloud and explain that this verse will help us learn more about the Holy Spirit. Underline the words ‘Holy Spirit’. Remind the children that the Holy Spirit is one of the three Persons of God. Refer to the ‘3 in 1’ symbol as you explain that Christians describe God as ‘Three in One’ - one God (hold up one finger), three parts (hold up three fingers). The parts of God are called Persons. The three Persons of God are God the Father, God the Son (whom we call Jesus) and God the Holy Spirit. Each of the Persons is fully God. The Bible teaches that each of the Persons is real and living. They are good, powerful and wise. They are loving, joyful and peaceful.The three Persons are so perfectly joined they are one. There is one God and he is three in one. Hold up one finger, then three fingers then one again. Underline the word ‘friendship’. Explain that in some Bibles people have written the word ‘fellowship’ instead of ‘friendship’. The words however have a similar meaning. Ask the children what they think the word ‘friendship’ means. Talk about friends sharing things and talking with one another, listening and learning about each other. Talk about the game the children have just played – wherever one person went their partner went too. Talk about friends spending time together and doing things together. Underline the whole phrase ‘the Holy Spirit’s friendship’. Show the children the ‘Holy Spirit arrow’ and explain that Christians believe that when Jesus went up the Holy Spirit came down. Talk about the story of Jesus’ Ascension and ten days later the Day of Pentecost (see pages 383 and 384 of the Children’s Bible in 365 stories). Christians believe that now the Holy Spirit has come down to be with people, wherever they are, whatever they are doing, he is with them. A bit like the wind, people cannot see the Holy Spirit, but Christians believe he is with people, everyday, everywhere. Use sticky tac to stick the ‘Holy Spirit arrow’ next to the verse. In this verse Paul was saying that, just as people can be friends with one another Christians can be friends with the Holy Spirit, people can now spend time with him; they can listen to him and learn about him. Like a friend, the Holy Spirit comes alongside Christians; he shares what he has with them and encourages them to share their lives with him too. Because Christians believe that the Holy Spirit is good, powerful and wise they believe that it truly wonderful that he comes alongside them; they think it is truly wonderful that they can be friends with the Holy Spirit.